If you’ve ever considered porcelain veneers, you may already know that it takes two appointments to transform a smile with this unique cosmetic dentistry service. That being the case, we’d like to use this post to address what you can expect from your first appointment. But first, what are porcelain veneers? Porcelain veneers are made from very thin pieces of dental porcelain. They’re designed to cover imperfections the patient wants to hide, like stains, chips, slight misalignment, and more. Each set of porcelain veneers is specially designed and crafted to meet the unique needs of each patient. During your first appointment, Dr. S. John Salivonchik will spend much of the time looking at your smile and talking to you about the results you’d like to see. If you have any examples of smiles you like, like a photo or magazine clipping, feel free to bring it in. Coming to understand your needs and wants is a big part of what this first appointment is all about. Your first appointment will also involve a certain amount of tooth preparation. For your porcelain veneers to look like a natural part of your smile, they have to lie flat against your teeth. 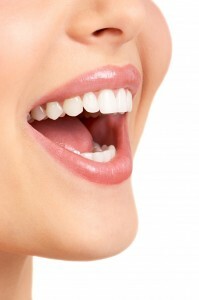 For that to be possible, a small amount of tooth enamel must be removed. As part of your first appointment, Dr. Salivonchik will gently buff your teeth until enough enamel has been removed. An impression of your smile will also be taken during your first visit, and a temporary set of veneers will be applied to your teeth to protect them. These temporary veneers won’t be customized the way your final set will be. Do you want to transform your smile with porcelain veneers? Schedule your first appointment today. Dr. Salivonchik’s Whitehall dental office is located in Lehigh Valley and serves patients from Allentown, Bethlehem, Easton, The Poconos, and surrounding areas.